Into Banda Aceh with a few sturdy boards, the newly redesigned Light & Variable™ Hoody takes you far beyond the tourist trail. 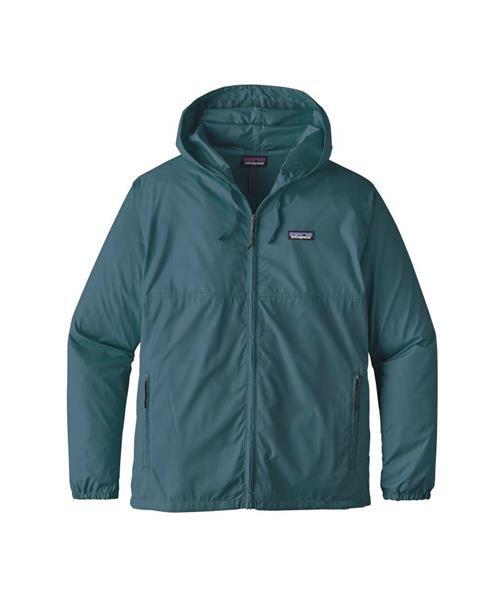 A pared-down hooded jacket that stuffs into a small pouch, it's wind- and weather-resistant for sudden cloudbursts or brisk boat rides back from the reef. Made of lightweight 2.7-oz 100% recycled polyester with a DWR (durable water repellent) finish and 50+ UPF sun protection, it stuffs into a small pouch that can double as a travel pillow. Now trimmer through the body, it features a center zip with flat-felled seam detailing and rope pull; the hood has cinch ties for an adjustable fit. Two self-lined handwarmer pockets have flat-felled side seams and rope pull closures, and the left pocket converts into a self-stuff pouch with carabiner clip-in loop. A new adjustable drawcord at the bottom hem provides maximum weather protection, while elasticized cuffs keep out the wind and reinforced vents under the arms maximize breathability in warmer weather. Hip length.